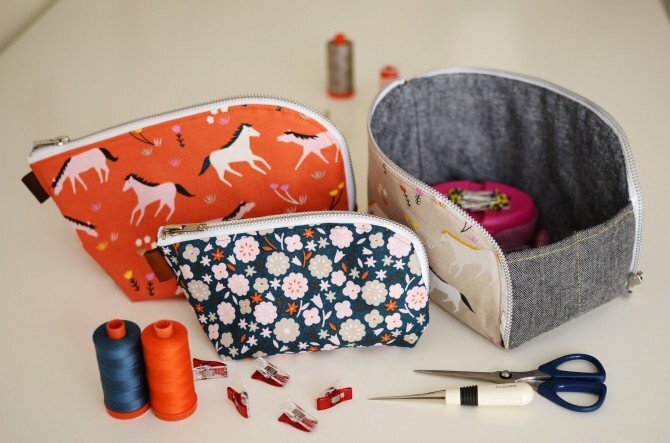 Learn how to make this new style of pouch that opens out into a useful box shape to keep contents close at hand and easy to reach. You'll learn how to insert a zipper around a curve and the class with have an option to use a regular or separating zipper. It zips up securely for travel or storage. Great to use for sewing, knitting, kids toys, travel and more. Must have a sewing machine and working knowledge of how it operates. Pattern is available for purchase at A1. Must bring supplies as per pattern. If you want to use a separating zipper, those are also available at the store.